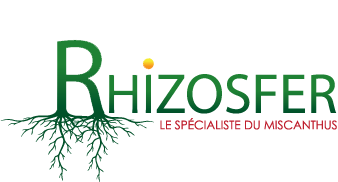 RHIZOSFER is one of the pioneers in France in the production of rhizomes for the cultivation of Miscanthus. Our goal is to provide farmers with a new crop with interesting features from an economic, agronomic and environmental perspective. The search for outlets in different fields for this crop is part of our work, with the aim of setting up local networks focused on the valorisation of the Miscanthus in various forms. 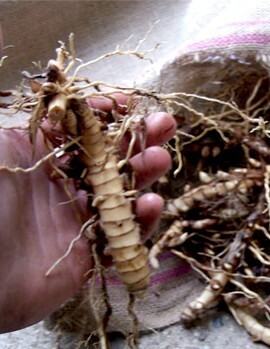 As a result, RHIZOSFER contracts the productions to ensure an income for producers. Extraordinary biomass yield: from 15 to 23t/ha in non-irrigated conditions. Very limited fertilizer requirement: high performance physiology. Self-weeding at cruising speed: 1 to 2 IFT can be sufficient in the first year. Extremely short working time: no tillage or treatment. Diversified outlets: combustion, mulching, agro-materials. This plant called Miscanthus Giganteus is a perennial rhizomatous grass from Central Asia that was imported to Europe for ornamental purposes. The Miscanthus X Giganteus was born from the hybridization between Miscanthus sinensis and sacchariflorus. This hybrid is completely sterile, which has the advantage of avoiding its dispersion in the environment. On the other hand, its C4 photosynthetic mechanism allows it to reach important yields already raised by its hybrid character. France has climates that are very suitable for the Miscanthus Giganteus, hence the importance to give it the attention it deserves.